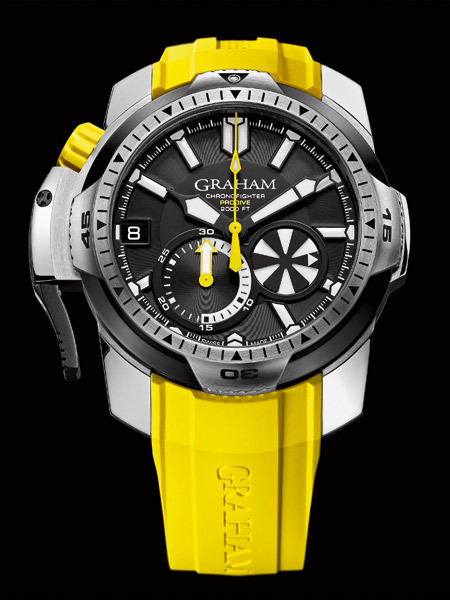 The new GRAHAM Chronofighter Prodive comes on a parrot fish yellow strap which is going to achieve great stand out both in a crowd or amongst a school of fish. 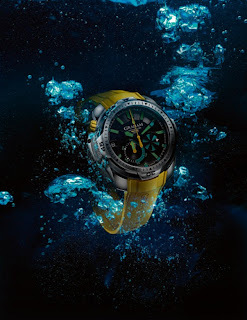 For the first time it’s equipped with a patented start/stop/reset mechanism which allows the watch to be used to the limits that humans can dive – but it can go much further as each watch is tested to resist and go beyond 2000 feet. 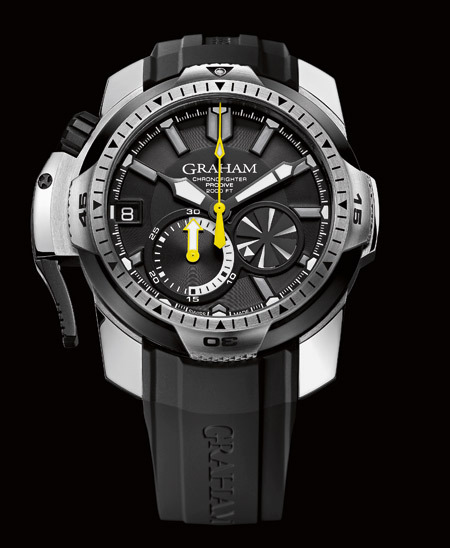 The famous GRAHAM lever and patented system activates the chronograph without fail. Placed on the left side of the case, the trigger has been re-designed to become the only control pusher of the chronograph start/stop and reset, making it easy for divers to activate the functions even with thick neoprene gloves. The unidirectional rotating bezel is adorned with a special pattern to ensure a better grip in addition to a 120-position notched wheel. 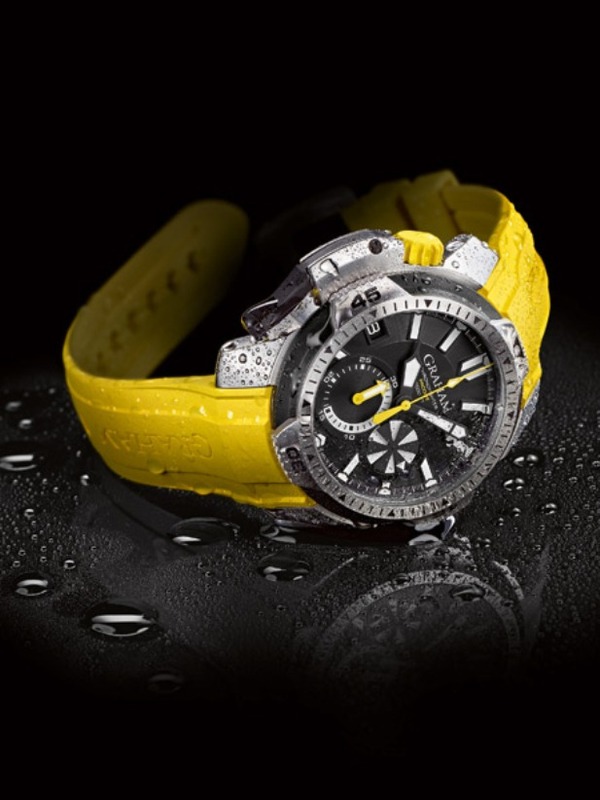 And the rubber strap with the folding buckle features an extension to use over a wet suit. 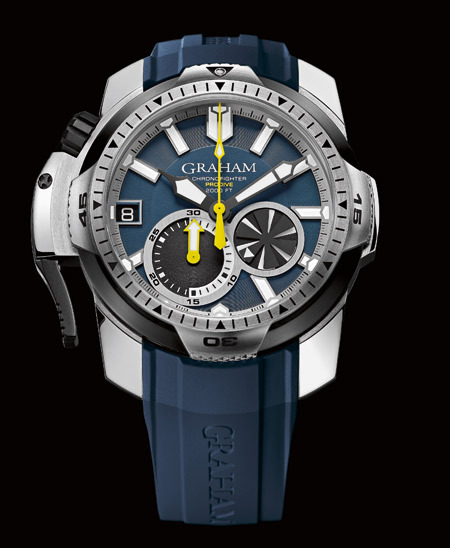 The 45mm GRAHAM Chronofighter Prodive is able to adapt to all types of diving and light changes. As you dive deeper Chronofighter Prodive’s new generation of luminescent coatings are perfectly visible even at great depths. 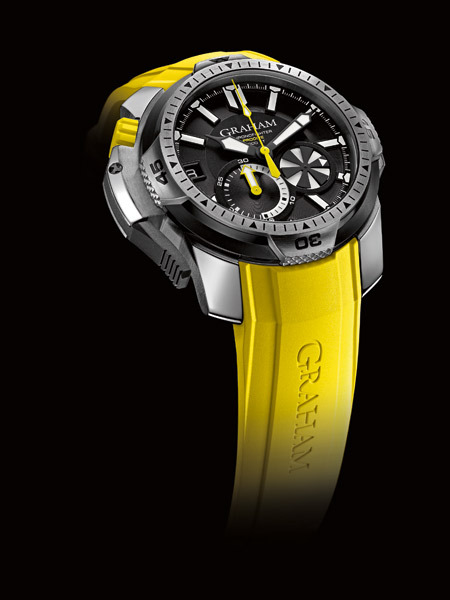 With an automatic helium valve, a yellow rubber crown with an automatic locking system (bayonet) and a red safety ring which notifies the crown unlocking, this dependable chronograph ensures safe diving every time. The Prodiver is free of electronics and depends purely on accurate and reliable mechanical timekeeping.